"The transition... to a culture of peace is a process of individual, collective and institutional transformation." "Citizenship for the next century is learning to live together. The 21st Century city will be a city of social solidarity.... We have to redefine the words... [and write a new] social contract." Federico Mayor, former head of UNESCO. "A sea change of transitions and transformations is birthing a whole new world," wrote Dr. Leonard Sweet, whose books are often quoted in Rick Warren's Ministry Toolbox. "God is birthing the greatest spiritual awakening in the history of the church.... Are you going to show up." If you love truth, you may want to say no! For in his book Soul Tsunami, Dr. Sweet, a popular leader of the Emerging Church, tells us to flow with the currents of change and leave God's unchanging gospel behind. "Postmodern culture is a change-or-be changed world," he continues. "Reinvent yourself for the 21st century or die. Some would rather die than change." Would Rick Warren agree? Probably, since he wrote this glowing endorsement for the front cover of Sweet's book: "Soul Tsunami shows us why these are the greatest days for evangelism since the first century!" The new focus is on unity -- a worldwide oneness reflected in the growing union between the East and West. Leonard Sweet's online book, Quantum Spirituality, sheds some revealing light of the envisioned global "church" for the 21st century. In his view, the offense of the cross has been replaced with a passion for interfaith peace and possibility thinking. To illustrate this point, Dr. Sweet points to Thomas Merton, the popular Catholic author who popularized mysticism and died in Asia searching the depths of Tibetan Buddhism. "A Quantum spirituality challenges the church to... dare its future by sticking its big toe into the time and place of the present.... Then, and only then, will a New Light movement of 'world-making' faith have helped create the world that is to... be. Then, and only then, will earthlings have uncovered the meaning of these words, some the last words poet/activist/contemplative/bridge between East and West Thomas Merton uttered: 'We are already one. But we imagine that we are not. And what we have to recover is our original unity.'" Seeking that illusive solidarity, today's success-driven church leaders are rushing into the postmodern age of flexible "truth" and relational pleasures. Unbounded by any solid anchor in God's unchanging Word, they dash forward -- hand in hand with the world. Their goal is an imagined future attainable through practices long hidden in secret societies, occult orders, and Eastern religions. These include meditative rituals, dialectical synthesis and systems thinking. Add service learning to the last two and you have the transformational strategies first tested by Communist rulers, then incorporated into the UN - U.S. education system, which intentionally undermined factual, rational learning and established the postmodern ways of thinking. But first, let's examine Rick Warren's celebrated P.E.A.C.E. Plan and its links to the United Nations. Like most other UN documents, its Millennium Goals sound kind and compassionate. They are designed to appeal to noble instincts and caring hearts -- and they do! That's why nations, corporations, organizations and churches have joined the global campaign. Who would disagree with these eight lofty goals? But there's more to this list than these nice-sounding words. The motivational vision of a worldwide welfare system may have captured hearts around the world, but it actually serves the grandiose aims of socialist change agents who have little concern for human suffering. 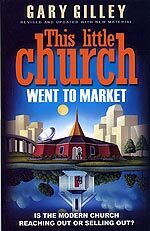 Yet, no other program has more effectively linked the evangelical church to the UN management system, which, from its birth, declared war on Biblical truth and values. And no other program has more effectively drawn Christians into a process designed to manipulate the masses, undermine traditional values, silence resisters, synthesize beliefs, trade individual thinking for collective thinking, and train global citizens to serve the "greater whole." Q: Your book is a mega-seller and there are 82,000 names on Saddleback's church rolls. What's next? Warren: A second Reformation. The first one was about belief. This one will be about deeds." Now compare this celebrated P.E.A.C.E. Plan with the United Nation's Millennial Goals. Keep in mind that both purpose-driven churches and their strategic leadership programs require training in psycho-social processes and assessment technologies (See Dream Giver and DISC Assessments) that match secular corporations and support the UN vision for human resource development around the world. 2. Equip servant leaders #8. Develop a global partnership for development. Actually "Lifelong Learning" has been the major UNESCO education goal since the UN agency was founded. The implied aims of UN Millennium Goals #3 and #7 are certain to be included in each of Warren’s five programs – especially in P, E, A and E.
1. Plant churches. The first point sounds good. But what will those church plants look like? Will they be clones of Saddleback Church in California -- or of thousands of other churches that follow the purpose-driven model? Not exactly. The cultural context will change from nation to nation, so the transformational strategies must be carefully adapted to each new setting. But the heart of the transformation -- the unseen process of human resource development -- will employ the same key tactics for change: Total Quality Management, psycho-social leadership training, promotion of a positive (compromised) gospel and a permissive (feel-good, non-judging) God, continual high-tech assessments and remediation, and the dialectic process operating through facilitated small groups. 'The Scripture shows us that Jesus shared the Good News, trained leaders, helped the poor, cared for the sick, and taught the children... 'Our P.E.A.C.E. Plan will just do the five things Jesus did while he was here on earth.'" But Pastor Warren's comparison with Jesus couldn't be more misleading. Jesus never used the psycho-social strategies or the manipulative management systems that drive today's social and spiritual transformation! "Kagame has repeatedly stated his disdain for religious organizations. Thus a buzz went up in Kigali's Amahoro Stadium last month when Kagame allowed Rick Warren... to throw an arm over his shoulders and 'pray for the President.'... Kagame has committed his government to cooperation in a five-to-seven-year self-sufficiency project staffed by Rwandan volunteers but initiated, advised and at least partly funded by Warren's network of 'purpose-driven churches.' Warren talks of turning Rwanda into 'the first purpose-driven nation.'" "...they also told us about the vision of the PEACE plan.... It is a vision with a big goal, which is to confront the world's major problems; but it is practical and simple in strategy because it is built on using average people rather than just the elite. Rick and I agree that each partner – the church, the government and businesses have a role to play and we are better together and more effective when we cooperate." "More effective" in what? In planting Biblical churches -- or in "Capacity Building" and "developing" a poverty-stricken nation? Will cooperation with "government and businesses" actually help establish Christ-centered churches with faithful "born again" Christians who -- by God's grace -- love and follow His Word? Or will it spread spiritual complacency and deception? Will it encourage Biblical worship, discipleship, ministry and mission -- or feel-good celebrations and "good" works? Will it please God or man? Will it fulfill what Warren presents as God's five main purposes for the Church? Or might those purposes all be compromised under the banner of church growth, church health, and success-driven service through church/world alliances? Partnerships face problems when one partner controls the money or political power. The controlling member will be in a position to set the rules and define the terms, forcing the other member(s) to submit or leave. Actually, Rick Warren's five purposes have already been compromised. "Warren presents some basic teaching regarding Gods purpose to glorify Himself and what man should do in relation to God," wrote Richard Bennett in an article titled "The Purpose Driven Life: Demeaning the Very Nature of God." "The fact that none of these purposes is presented in a biblically accurate way makes Warren's work all the more dangerous to the true understanding of Who God is and His Gospel in Christ." Fellowship: The world's fellowship is largely formed within the boundaries of the dialectical guidelines. These push group members toward unbiblical tolerance, feeling-based rather than fact-based "sharing," and silence with regard to Biblical absolutes. In contrast, Biblical fellowship happens when we come together with common delight in His Word, His will and His ways -- loving and encouraging each other with His Word and by His Spirit. Discipleship: The new church management systems call for training in submission and loyalty to "the group" and the new social ethics -- not to God and His Word. It requires participation in collective thinking and "service learning" and fun team building activities. 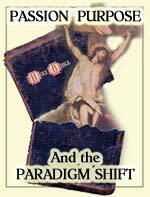 It has turned its back to God's narrow ways and divisive truths. It highlights Scriptures that call for Biblical oneness among actual "born again" believers but ignores verses such as Luke 12:51: "Do you suppose that I came to give peace on earth? I tell you, not at all, but rather division." Ministry: The shape and structure of purpose-driven ministries are increasingly defined by new management gurus, personality assessments, community surveys, and group appeal, not by Biblical teaching nor God's actual purposes. But the Bible shows us that our main focus should be on building up the believers -- by preaching and teaching His Word, and by exhorting and serving one another. We are called to live and work as one body by His Spirit -- not by training in group thinking and politically correct tolerance. In the true Church, all the members know and follow Jesus Christ, the King of all! He is not a reinvented god acceptable to the world, but the holy, almighty God who revealed Himself through the Scriptures. Evangelism: Today's soft, non-offensive gospel focuses on God's supposed passionate love for people who are naturally lovable, not on His loving mercy for depraved sinners. (See Ephesians 2:1-4) When "Christian" change agents train the masses to "think outside the box" of God's unchanging Word, they are spreading a false gospel and blinding people to the only truth that can set us free. The pragmatic assumption that "the ends justify the means" has already blinded a critical mass of "Christian" leaders. Many don't realize that the "end" they are promised is merely an illusion. Trained to accept a compromised gospel, they spread it to a world that wants to share in God's blessings without conviction of sin or genuine repentance. Since the postmodern gospel neither demands such responses nor offends unbelievers, it's easy to persuade the masses to join the movement. This radical reformation becomes all the more concerning when church leaders like Rick Warren link hands with Bono, Ellen DeGeneres, and other UN supporters in their evangelistic crusade and war on poverty. Since these noble aims fit right into the United Nations' efforts to "develop" nations, train human resources, build human capital, and establish its global management system, we cannot ignore its basic philosophy. What's more, today's soft, social "gospel" conforms easily to UNESCO's guidelines for religion in the new world order. Remember Pastor Warren's words, "The first [Reformation] was about belief. This one will be about deeds." 1. ...We are all interdependent and share an inescapable responsibility for the well-being of the entire world. 13. We commit ourselves to ... assure a truly humane education for all. We emphasize education for peace, freedom, and human rights, and religious education to promote openness and tolerance. 23. …We call upon the different religious and cultural traditions to join hands… and to cooperate with us." Whether consciously or simply out of success-oriented pragmatism, the purpose-driven church movement has answered the call. With management guru Peter Drucker as his mentor, Rick Warren's quest for reformation and transformation serves the UN vision very well. In fact, the two seem to march to the same drumbeat. Like Warren's vision of transformation, UNESCO Culture of Peace Programme calls for total transformation to its global system of assessments and control --"a process of individual, collective and institutional transformation." A small group of faithful missionaries, working quietly among the African poor, might by God's grace, be able to share the whole gospel beyond the watchful eyes of the new global managers. But the publicity-hungry PD movement with its popular agenda will be carefully scrutinized for compliance with the UN ideals. To succeed within this global framework of control, it must conform, comply and ultimately serve the global agenda. And its fury may well be focused on those uncompromising missionaries and faithful Christians that would rather suffer persecution at the hands of intolerant "peace-makers" than betray their beloved Lord. 3. Federico Mayor, speaking at a conference on "solidarity" during the 1996 UN Conference on Human Settlements in Istanbul, Turkey. Taped and transcribed by Berit Kjos.